For the week August 21-27 the 101 anglers caught 264 fish of which 184 were returned. Fishing has improved since Monday 21st with a rod average of 2.6 for the week. Boat anglers had reasonable catches whatever the weather although bank anglers struggled on bright, hot days. The top of the wind where the water is clearer continues to be best. A good sprinkling of full tailed 3lb-plus fish are showing. There are still a few damsels hatching. Otherwise fish have been feeding on corixa, daphnia and medium sized black buzzers. Cooler temperatures will improve catches further. Best fish 6lb 1oz for Phil Harris, from Stamford, on a Damsel Nymph from the boat; 5lb 8oz to John Oram, Desborough, Red Diawl Bach, boat; 5lb 2oz to Roly Stanford, Finedon, boat; 5lb for Darren Palmer, Northampton, boat. Best bank areas are east arm, pylon point, dam (in a north wind). Best boat areas are pylon point, east arm, boat bay, dam end (in a north wind). Best patterns Damsel Nymph, Red Diawl Bach/Cruncher, GRHE, Black Buzzer, wet/dry Daddy, Tequila/Candy FAB. Not an easy week’s fishing, however with the aerators repaired and working again the fishing in this area has started to pick up. Anglers reported good numbers of fish moving, however these proved difficult to tempt. Mr Scragg fished a Mayfly pattern and caught 3 fish, using the same method to take 8 trout the week before. On Tuesday Paul Walker got to grips with the difficult fish taking 6 on a Damsel and Klinkhamer. Kevin Hart went for a quick drift between 4pm and 6.30pm, boating 4 trout on dries. The reservoir has had a large influx of water during the past month and is currently a few feet short of top water mark. Water clarity is generally good. Fishing mixed with some anglers catching on Sedges early and others struggling. Later in the day lures and Buzzers producing. The best all round lure seems to be a Montana, fished slowly on an intermediate line and dry fly Sedge or F-Fly before the fishing becomes harder in the middle of the day. The best chance of a trout is to take a boat out and fish in the middle of the lake with different tactics. A Buzzer 4 feet under an indicator will give you a chance of a few trout. 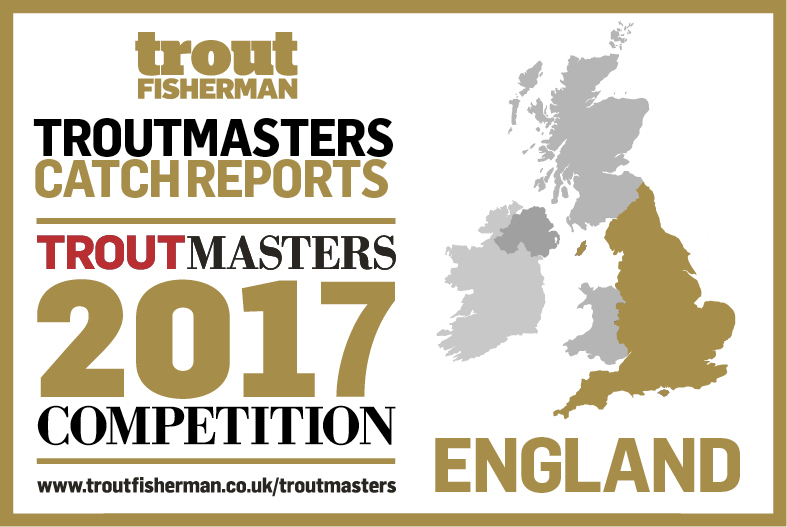 A fantastic summer for the junior anglers, many of whom have successfully completed their Angling Trust Cast awards. From ‘starters’ through to the more challenging Level 4 all of the juniors have shown great commitment and improvement and are now proving to be enthusiastic and talented young anglers. Please contact the fishery if you would like to know more about our Thrunton Junior programme. There have been some good bags this week despite the tricky conditions with the weather changing daily. Dry flies have been working well with CdCs and Daddies the most successful. However, Buzzers and black lures have also taken a good number of fish. Alec Harvey from Cramlington had ‘a very enjoyable day’ on dries and Diawl Bach, returning 9 fish from both lakes; Bill McCarroll from Morpeth used CdCs to tempt 6 from both lakes while Alan Stead also netted 6 on Black Buzzers and Black Gnats; John Cowell from Ashington released 7 on Daddies and Shipman’s; Ali Tait from Morpeth landed 14 and 8 on dries, Sedge and Shipman’s over two visits; Anthony Meadows from Chopwell used Shipman’s and Damsels to net 12 from both lakes; Trevor Wadds from Longframlington landed 10 from Long Crag on dries; Jim Smith from Blyth returned 8 from Coe Crag on Yellow Owls and Minkies; Connor Stoddart from Dipton kept 4 for 10lb 13oz and returned another 2 on Hare’s Ears and Buzzers; Mick Brown from Bedlington returned 19 on a Purple Juju Baetis including a 4lb brown; Michael Hall from Cramlingtonlanded 5 including a 12lb rainbow on dries.